Over the past several years, Philadelphia consistently has been recognized for being among the nation's best municipal governments for the utilization of technology that enhances local services. Now Mayor Kenney's newly reconfigured Office of Innovation and Technology wants forward-thinking residents to submit ideas that will deepen the city's connection to the Internet of Things. 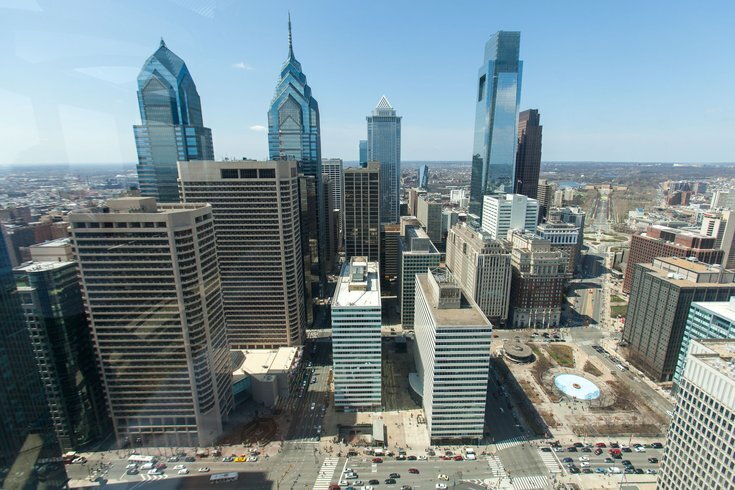 Pitched as the "Smart City Challenge," Philadelphia's goal is to create a robust "multi-purpose wireless network" that will rely on public-private partnerships to address the digital divide and improve upon existing services and operations. "The City of Philadelphia is interested in determining if the existing assets could be leveraged to better city operations and services," said Ellen Hwang, the city's Program Manager for Innovation Management. "The City seeks information and ideas on any products and technologies that could use these assets as a platform to improve public safety, public infrastructure maintenance, energy efficiency, public space management, transportation and quality of life for the residents and businesses of Philadelphia." If the Internet of Things – or IoT – still sounds like an unusually plain description for a technology megatrend, the basic concept is that the expansion of broadband and Wi-Fi capabilities creates an opportunity to network physical devices such that data is exchanged automatically through the use of embedded sensors, electronics, software, and actuators. These networks, which include people, comprise three relationships: people-people, people-things, things-things. Analyst firm Gartner estimates that by 2020 there will be more than $20 billion connected devices throughout the world. With an eye toward long-range planning, cities and private entities are increasingly using these network capabilities to create smart grids, smart homes, intelligent transportation, and ambitiously designed smart cities. Those ahead of the curve are largely scattered across the globe, but the Philadelphia 2035 vision, and now OIT, anticipates a future of service-oriented and energy-efficient technological urbanization. What does Philadelphia have in mind? With the rollout of the Smart City Challenge, Philadelphia is calling for proposals from technologists, telecommunications specialists, advertising agencies, social entrepreneurs, engineers, architects, designers, NGOs, and urban enthusiasts based both in Philadelphia and elsewhere around the world. • Transportation Analytics: Technologies that can detect changes in traffic flows, pedestrian and cyclist activity, and parking availability. • Infrastructure Monitoring: Detection and monitoring of the city’s critical infrastructure such as roads, bridges, airports, water, and power systems. • Public Safety Surveillance: Additional video surveillance points and cameras, used exclusively for public safety purposes, which police could monitor, especially in high crime areas. • Free, high-speed public Wi-Fi: A network that would support communities of mobile/flexible workers and improve overall lifestyles in the form of greater productivity and services, improved planning and development, collaboration in the digital era, and economic growth. • Sensor Technology: Combined monitoring with sensor technology that collects data in real time. For example, the city would know when a street has iced over so salt crews can be dispatched. Philadelphia has already made strides in several areas that fall under the broad definition of smart city planning. Starting in 2009, the city began installing BigBelly Solar Compactors to improve waste management, an initiative that has saved about $1,000,000 annually in operational, fuel and truck costs. Similar use of green infrastructure for the Water Department's "Green City, Clean Waters" initiative could save the city an estimated $5.6 billion over the length of the 25-year plan. In 2011, working with IBM, Philadelphia developed its Digital On-Ramps platform to improve adult education and workforce training in conjunction with a variety of agencies and employers. Meanwhile, at next week's Democratic National Convention, local visual commerce firm Curalate will be one of Philadelphia's official technology providers, steering DNC 2016 website visitors directly to online petitions, platform descriptions and policy initiatives. As Technical.ly Philly clarifies, the Smart City Challenge is distinct from the StartUp PHL "Call for Ideas" grant program in that it specifically seeks proposals that leverage IoT applications for infrastructure improvement. For additional information, an overview of the city's assets and instructions for submitting a proposal, you can review the Request for Ideas here. You can also check out OIT's Frequently Asked Questions page.